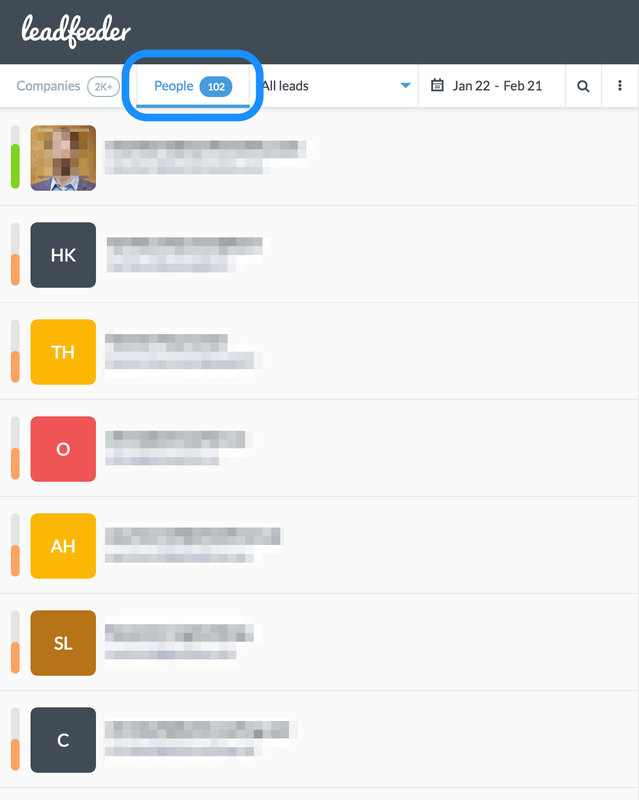 Users who have integrated Mailchimp have a button in their Leadfeeder called People. When you click on People you see a list of people who’ve come to your website via your Mailchimp campaigns. After you click on a person on the left their visit details for the selected time frame open in the right-hand panel. You see where a contact went on your website; not just the page they landed on via your Mailchimp campaign. You can filter your People Timeline by quality and last visit. As with the companies-focussed lead list, the overall quality of a person’s activity for the selected time period is visible with the traffic light colours. You can filter people’s behaviour by campaign. A person’s location is based on their actual network location, not on the email server location. Mailchimp visitors from a home network or from an Internet Service Provider are shown here. These visitors don’t show as companies in the traditional companies lead list. Where can I find the Basic Mailchimp feed in Leadfeeder and subscribe to email alerts? What's next after completing the Mailchimp set up?